Many of us has old sweater at home and don’t use it. If you has one and don’t know what to do with it we have creative idea and also tutorial how to make comfortable and warm sippers for home. Slippers from old sweater are also very beautiful and at home they are perfect. 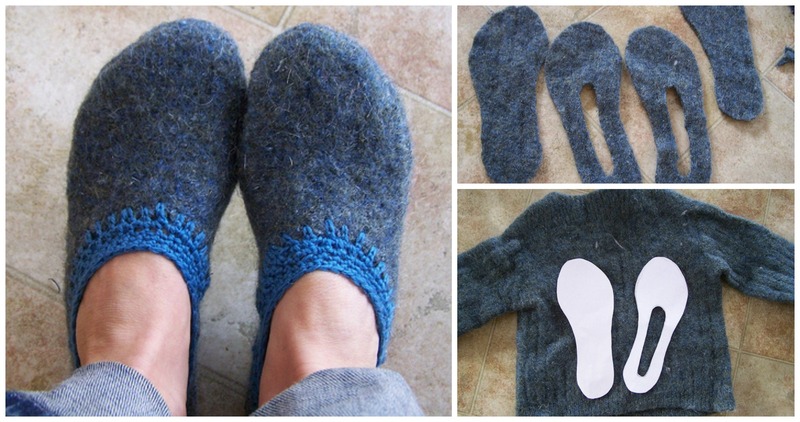 You can also sew two slippers from one sweater and if you have two old sweaters you can sew slippers for whole family and everyone will feel comfortable and warm at home in cold winter. If you like this creative idea you can also buy sweaters on sale and start sewing. Good Ideas are always simple like this one. We hope this post will be useful for you. Thanks to author for creative idea and Tutorial with pictures.